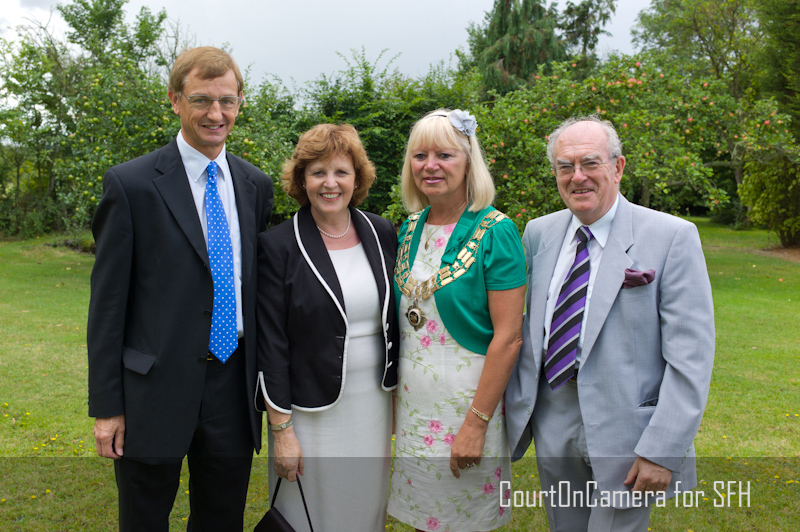 On Saturday I went to Cllr Joan Holmes the Mayor of Brentwood’s Summer Garden Party and Cream Tea. Hospice Trustees Peter Crutchett and Neville Brown JP with their wives, also joined me to support and promote the Hospice. In addition to the rather nice but naughty cream tea, raffles and garden games (I tried to win a bottle of Champagne) were provided to fund raise for the Mayor’s nominated Charities which included St Francis. By the end of the day a magnificent £800 had been achieved – Thank you Joan and all who supported the day to make this possible. 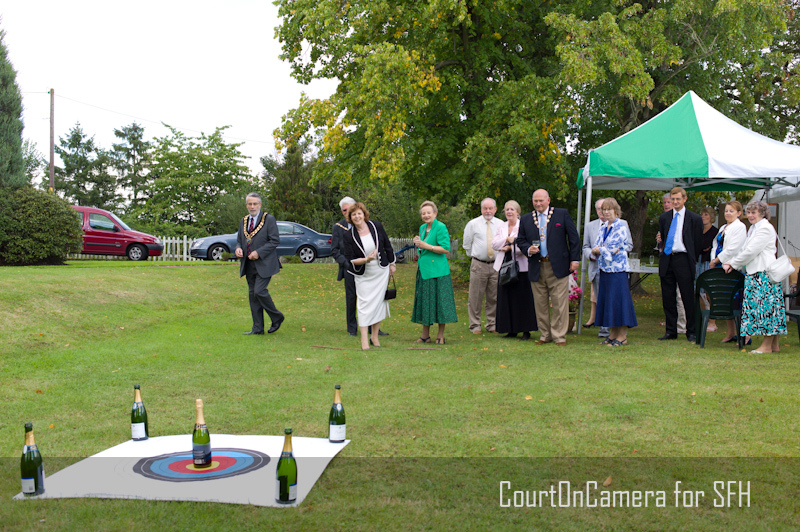 This entry was posted in Fundraising at St Francis, Hospice Management, Saint Francis Hospice and tagged Joan Holmes, Neville Brown JP, Pam Court CEO, Peter Crutchett, St Francis Hospice, The Mayor of Brentwood, The Mayor of Brentwood's Cream Tea, The Mayor of Brentwood's Summer Garden Party. Bookmark the permalink.